Color: Old gold with amber depths. Palate: Flavors of vanilla wood in the mouth which combine well with the fruity elements and warm spirit. The Bisquit Interlude Limited Edition Cognac is the first expression of this rare collection. The collection comprises an exclusive blend of only 20 barrels. Each year, a mere two of these barrels will be bottled, creating a very limited edition of only 1000 bottles per year. it's a Fine Champagne blend, composed of 77% Grande Champagne and 23% Petite Champagne eaux-de-vie. 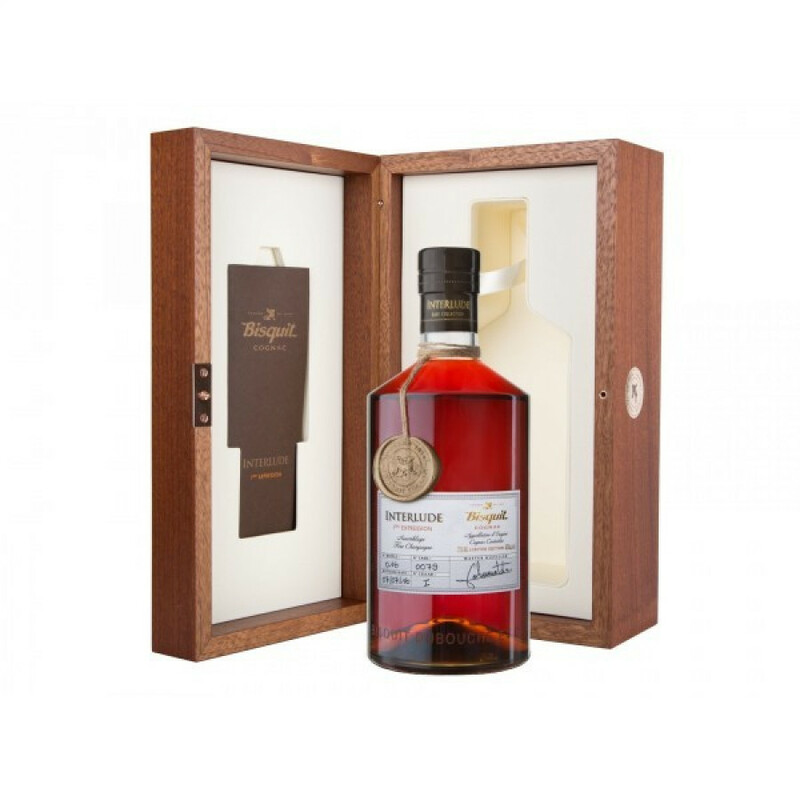 The presentation of the Cognac is exquisite - a contemporary, clean lined bottle adorned with an informative label that gives further information about the Cognac within. This in turn is showcased in a deligthfully luxurious wooden presentation box with further information label. The perfect Cognac for any collector out there.